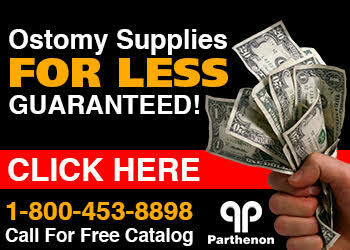 The Parthenon Company Blog - Specialists in Wound and Ostomy Supplies: Hollister Ostomy Supplies - Try A Sample Today! Hollister Ostomy Supplies - Try A Sample Today! Ostomy appliances have many variations. You can a one-piece system or a two piece system generally speaking. There are unique aspects that distinguish each manufacturer. The main providers of ostomy appliances include Coloplast, Nu-Hope, Hollister, and ConvaTec. If you aren't sure what type of pouch to use, we recommend trying a sample before you spend money on it. Try a sample from every brand possible to find out what works best for you! Hollister ostomy supplies address all types of ostomies and they are constantly making changes to meet the needs of their customers. You can request a sample of a Hollister ostomy pouch system here.